In our summer months a lot of us don’t feel like cooking. It’s just too hot; So we turn our attention to salads. I know people think that salads are boring after a while. 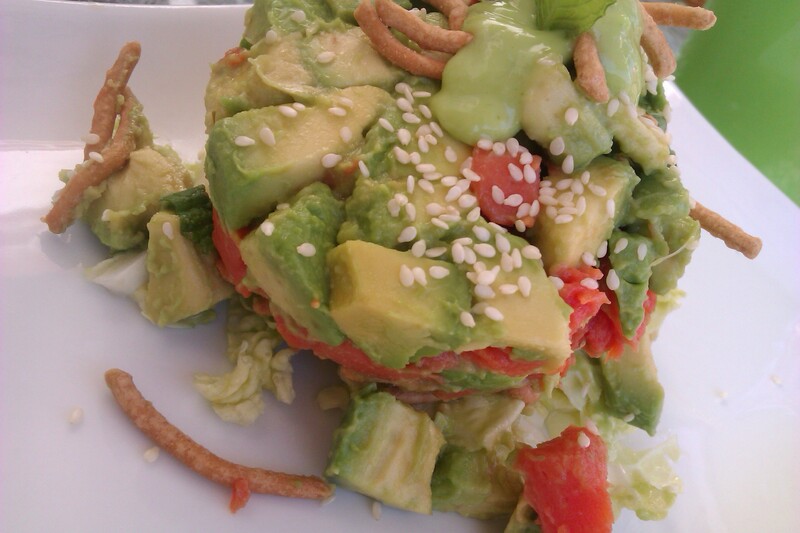 Well here is a great salad that will keep your taste buds bursting. This can also be done with chicken breast or tofu if you prefer. Have fun with your salads and get creative. I hope you enjoy this refreshing salad. 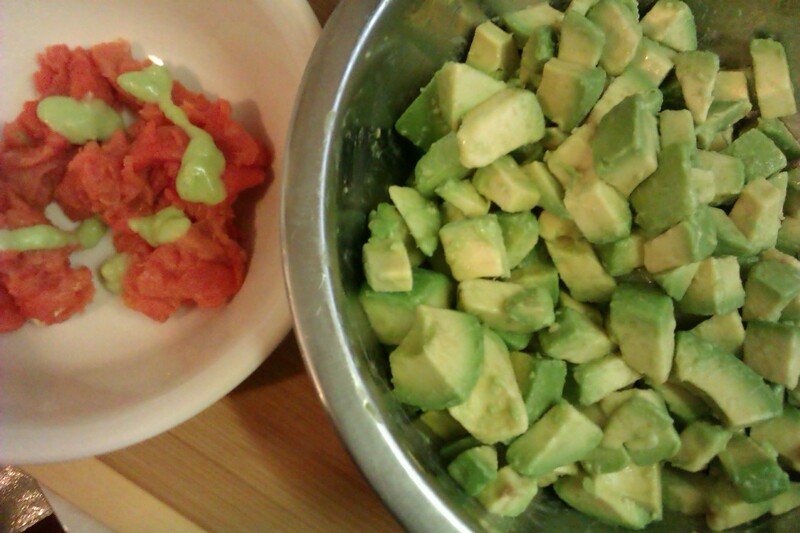 The avocado and the salmon are perfect match! Your addition of wasabi cream is so smart! I agree with you! I hate to cook when it is so hot. Your salad sounds just right. Love avocado and smoked salmon. The dressing looks light and simple. I would love to give this a try. Thanks for sharing. Ohhhh yummy! What a fantastic idea!